Standing restaurant offering breakfast, lunch and dinner. 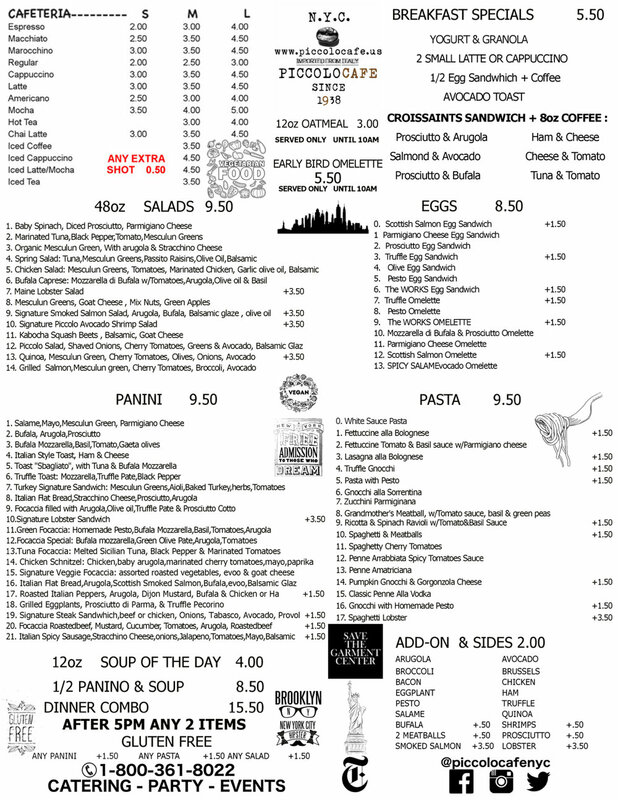 Don't miss Croissants and Pastry in the morning, Espresso and Coffee, for lunch Pasta Menu is a must with daily special Panini, Organic Salad, Vegetarian and Gluten Free Options are available. Saturday and Sunday Brunch is a great time to join us, and everyday after 5pm DINNER COMBO $16 where you can pick any two items in the menu!